A roadtrip across the Nullabor Plain provides signed subjects for 'I spy'! Well far be it from me to break a great tradition, so far I've dragged my kids to Rockhamption, Brisbane, Broken Hill, the Flinders Ranges, round Tassie (and New Zealand - twice), and we have a formula that works pretty well now: three of us in the car, means extra leg room; kit on the roof in a pod, for more extra leg room, lots of cd's, lots of counting of cars, trucks, emergency vehicles, red cars, emus, kangaroos - you name it, we have a permutation to keep us entertained. And importantly, we take the bikes on the back of the car, so that when we stop, we ride around like mad things so that we wear everyone out before we plop in the car again. We also stop, lots, and for no particular reason, and are big fans of the 'I wonder what's down there?' approach. 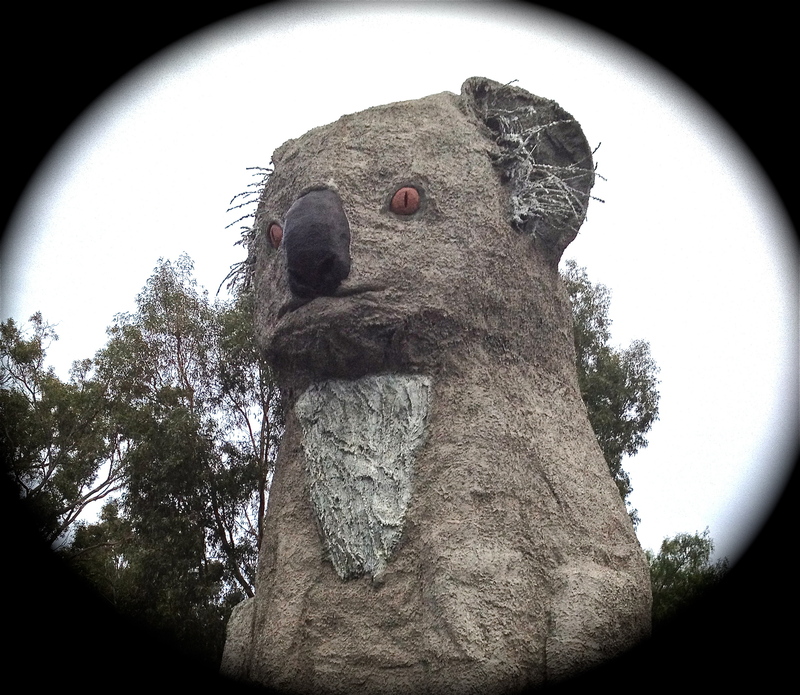 In other words, it's not A to B in this family, but more A to Z via C-E-J-S-U and W. We're also on the look out for Australia's quirkiness: think the 'Bigs' - Big Koala, Big Banana, Big Lobster, Big Lawnmower, Big Oyster, Big Olive, Big Egg ... what is it with Australia's obsession with the BIGs - do we have an inferiority complex or something? It's a hoot anyway and makes for some very whacky holiday snaps. We're just back from our most recent adventure, from Melbourne to Perth across the Nullabor - some 4,500km and one of the world's most iconic road trips - and for very good reason. It was beautiful, and yes, interesting. 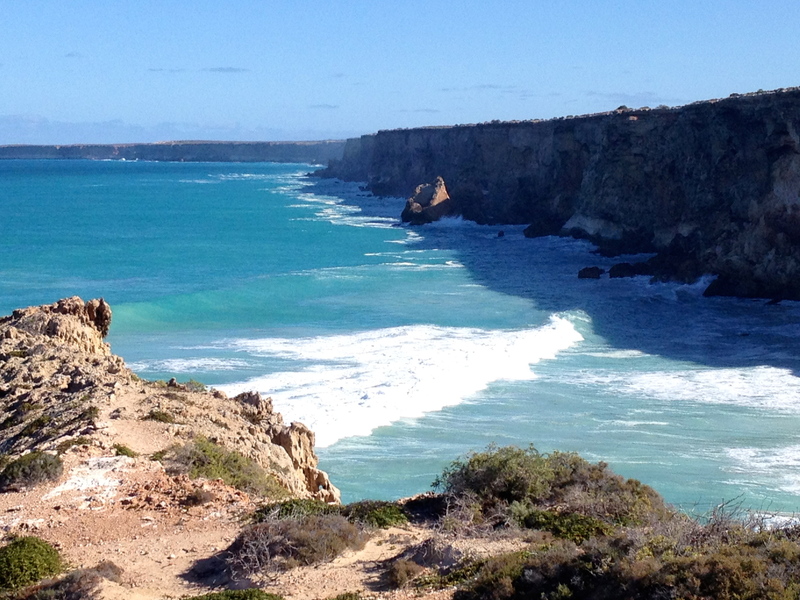 We saw blowholes, caverns, loads of whales at the stunning cliffs of the Great Australian Bight (it really does look like someone is taking a huge bite out of a biscuit, as the towering sea cliffs crumble away), road trains, tumbleweeds, salt lakes, massive sanddunes, more road trains, and we passed 12 - yes, 12 - solo cyclists, making their way across our enormous desert. 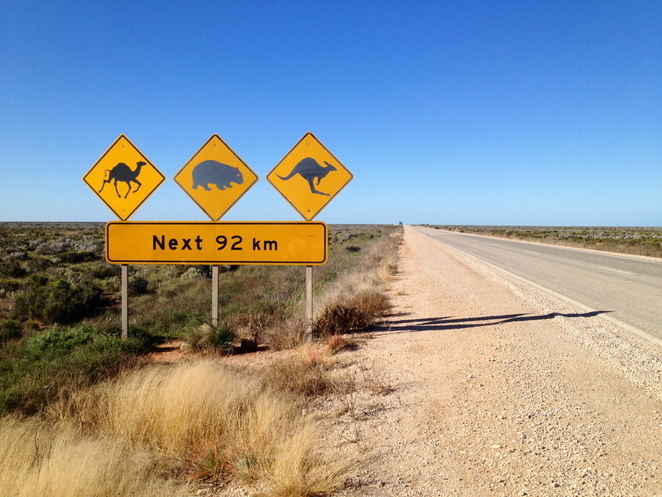 What we didn't see were any kangaroos (contrary to the sign at Cocklebiddy Roadhouse!) , and only one emu - most unusual and due to the great season - everything was green and flowers were blooming, so there was no need for the wildlife to take their life in their hands on the edge of the roads. As kids become older teenagers, and their interest starts to pall, remember that it's a great excuse to help them get up their 120 hours supervised driving. My daughter just collected 15 hours of solid driving on our recent trip across the Nullabor - she is great at straight, long roads... though she didn't get much experience in turning corners. In fact, two of the longest stretches of straight road in the world are on the Nullabor, and when they did put in a corner, it wasn't to keep people awake (as the common myth goes) but rather, to accommodate for the curvature of the earth! Another unexpected entertainment along the way is the World's Longest Golf Course - The Nullabor Links, which is some 1700km long, starting with the first hole in Ceduna, SA, at the start of the Nullabor, and finishing with the last hole in Norseman, in WA. There are regular tournaments and the course record is par 72 in case you are wondering! For casual members, you register and pay your fees at the Eucla Tourist Info Centre and off you go! There are petrol stations every 200km along the route (though do check ahead to see that they are all opened when you are going through, and don't take chances), and the road is fully sealed, so the trip is entirely doable for any car (and family) in good condition. Mobile phone coverage is pretty good for those on 3G and 4G, though there is still the occasional communications blackspot. I can't recommend the trip highly enough. Get your sing-a-long on and get to it. Great photos and words. My mother did it in 1958 when it was just a dirt track. I did it by train and often thought of her. You certainly make the most of your family holidays. Love this article! We WILL do this one day.